At Ojah we believe in co-creation and the synergy of collaboration. We are convinced that together much more can be achieved than individually. We strive for sustainable relationships. Within Ojah, but also with our partners. Everyone has different talents or specialisms that are worth the most when they are bundled together. Our specialism is the extrusion and further processing of plant based proteins, which results in a particularly protein-rich product, with a special structure. This adds that bite to dishes that so many people are looking for. We work through co-creation with partners who have specialised knowledge of the local market and consumer. In this way, together we ensure that the end product meets the wishes and demands of the local market. Our partners hold the same ethical and moral values as we do. Therefore we can be confident that we can rely on each other. This immediately brings us to our business value ‘integrity’. We are honest and reliable towards our partners and we expect the same from them. For us, cooperation goes beyond selling a product. We think along with our partners and help with the development of products. 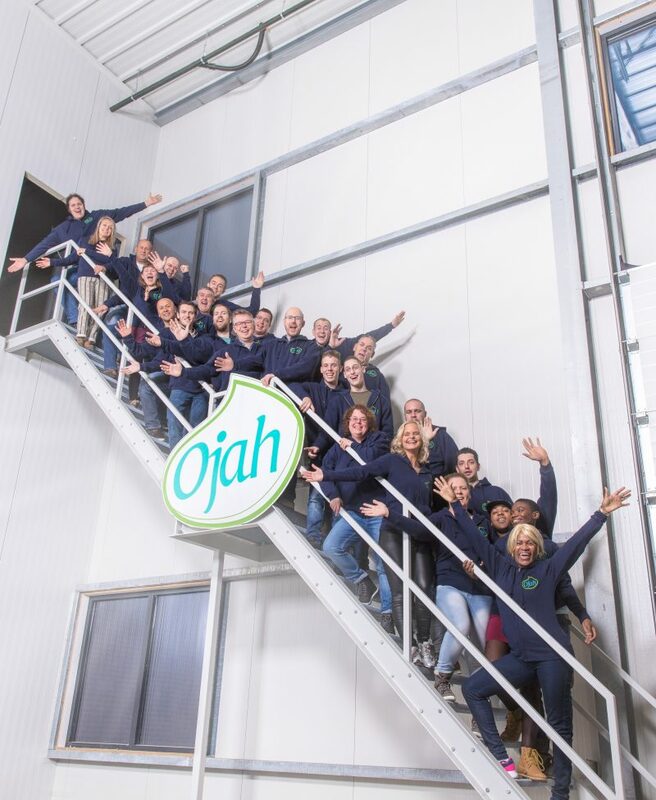 Within Ojah there is an R&D team that has gained so much experience with co-creation, that they are the designated team to create a successful product in close collaboration with you. According to our philosophy, this is the best way to put end products on the market that both we and our partners are proud of and will both benefit from.